It’s the night before Thanksgiving, and you’re still trying to plan the menu. While you are thrilled that some rarely-seen relatives have decided to journey to your home for the holiday, they’ve also presented you with a culinary challenge. You realize that with only one turkey, and room on the table for only a few side dishes, you won’t be able to give everyone the perfect Thanksgiving feast. You decide to try and tackle the turkey first since it’s the centerpiece of Thanksgiving. Uncle Bob has requested a fried turkey this year, but cousin Alice from Austin thinks a smoked turkey would be better. You’ve never smoked nor fried a turkey before so it seems like an easy decision to stick to the traditional, which should be good for most of the group. However you feel bad that Bob and Alice won’t get the turkey they want, so you decide to prioritize them for the sides. They’re both on board for your garlic mashed potatoes. This means though that the mashed sweet potatoes won’t fit on the main table, and will need to stay in the kitchen. Your mother will only eat the sweet potatoes and has a bad ankle. Is it fair to make her walk to the kitchen every time she wants more? You could move the green bean casserole to the kitchen and leave all the potatoes on the table. Meanwhile your brother-in-law, Caleb, asked if the green bean casserole could use gluten free fried onions, and you’re still trying to decide if that would work for everyone or if it would taste noticeably different. You’re completely lost when it comes to desserts. Your family will only eat pecan pie but your mother-in-law is severely allergic. It seems logical to make pumpkin, but how can you not have the pie that half your guests want? Luckily you’re only faced with this conundrum once a year. Destination marketers, however, face this challenge daily. Instead of a turkey, they need a homepage hero that still appeals to in-state, out-of-state, and special interest visitors. They might not need to worry about someone walking the extra steps to the kitchen, but they struggle with keeping content easy to find so that brides looking at wedding venues or business travelers coming for a conference don’t need to dig through page after page of general vacation trip ideas. 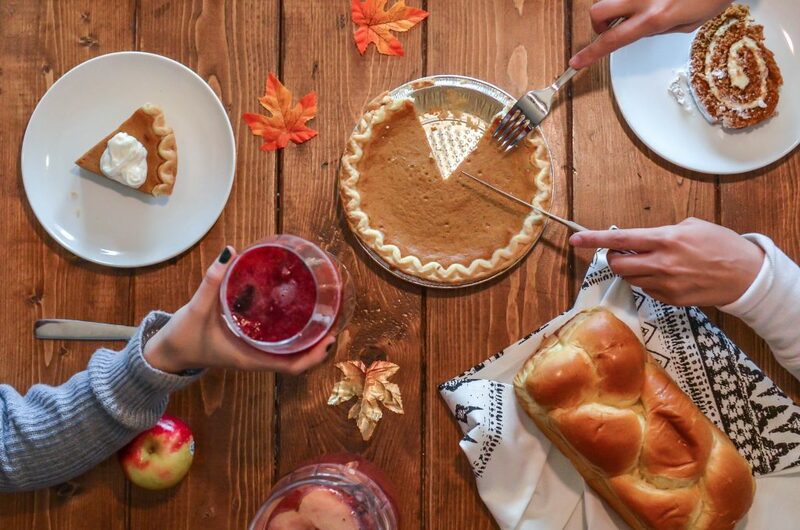 Reimagine this Thanksgiving feast/website with personalization. Most guests would see the traditional turkey hero, but Uncle Bob and cousin Alice see the turkeys they want. Your mother doesn’t need to “walk” to the kitchen, because you’ve set a fly-in on the sides content that takes her right to the sweet potatoes. That pecan pie that can’t get near your mother-in-law? You’ve set rules to exclude her from ever seeing it. We hope YOUR Thanksgiving is delightful and there are no challenges with planning. If you’re interested in learning how to take your website to the next level with personalization request a consultation to see how we fit in with your current marketing strategy.